Position and sizing may vary slightly due to word length. The image displayed is to show an example of layout and design. Colours may vary due to variances in computer screen quality. Printed on 280gsm Linen textured card, using a professional printer. Made up of flag pennants. Pink Chic Party Collection. In White, Pink & Gold. 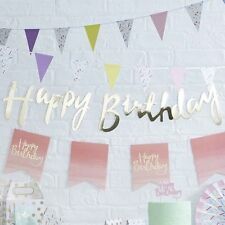 Set includes the 13 separate letter cards and and rope to create the bunting. The rope needs threading through the bunting. 80's retro flag bunting. We endeavour to answer your queries within 48 working hours. Wherever possible we do try & re-use all our cardboard boxes. Helpful Links. COMPLAINTS PROCEDURE. OUR PRICES. IDEAL FOR ANY CELEBRATION. BLACK, GOLD & SILVER FLAG BANNER. 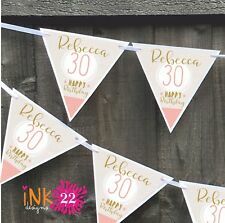 Handmade bunting CHOOSE MUM OR MUMMY EACH WILL BE SUPPLIED WITH HEARTS AS SEEN Minimum 270gsm card Simply thread letters onto provided ribbon. Leave message of name at checkout. Please note single names only. All letters approx 4 inches high colours order is variable and shades may vary due to stock availability For other bespoke bunting please see other listings THESE ARE ALL HOME MADE IN UK NOT IMPORTED. 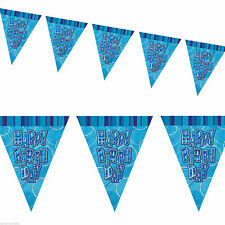 Bunting is great for party decorations with the use of tape or blu-tack. 1 Bunting consisting of 11 flags. 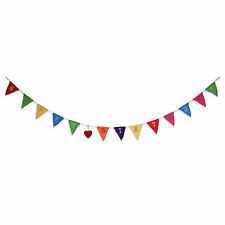 This bunting is suitable for both indoor and outdoor use. This Item is not a toy. 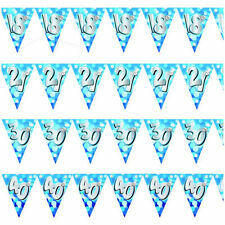 Foil Bunting. Contents :- 1 x foil bunting. 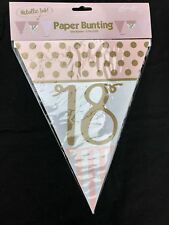 GOLD & PINK CHIC FLAG BUNTING.